We all know spinach is good for our health. The dark leafy green is packed full of iron, calcium, magnesium and fiber. But according to a new study, there is a right way to consume the vegetable, and the healthiest way to eat spinach is in juice or a smoothie. The study, conducted by researchers at Linköping University in Sweden and published in the journal Food Chemistry, was done to better understand the plant’s health benefits. 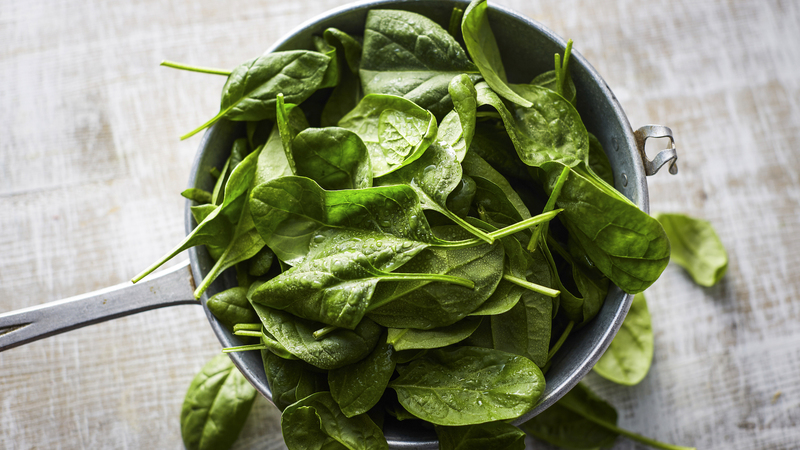 And while the team could have approached this in a wide variety of ways, they chose to focus on how cooking and food preparation affects spinach’s levels of lutein — an antioxidant found in dark-green veggies that can reduce inflammation. So the scientists purchased baby spinach at the supermarket and cooked it several different ways. They fried it, steamed it, boiled it and chopped it. “What is unique about this study is that we have used preparation methods that are often used when cooking food at home, and we have compared several temperatures and heating times,” coauthor Lena Jonasson said in a statement. And what they discovered was surprising: Researchers found that blending spinach in a smoothie or juice was the best way to obtain lutein, while heating it was the worst. That said, in spite of these results, it is better to eat spinach than not. So enjoy your dark leafy greens in whatever way you want, and maybe add some spinach juice to your diet — at least every now and then.